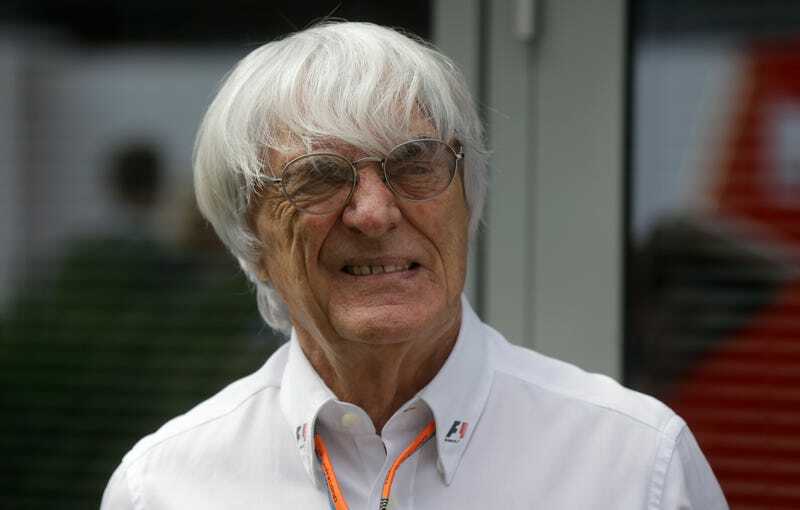 The businessman running F1 known as Bernie Ecclestone held an impromptu roundtable for journalists at the rain-soaked U.S. Grand Prix yesterday. There are still no solid plans for more racing in America, and the Red Bull team might not even run next year. So it sounds like the guy doesn’t have a strong grasp of the weather in America. Not a great sign for how seriously he’s taking the idea of having more races here. AutoWeek has more details on what he said about Red Bull’s lack of an engine for next year’s F1 season, but basically there’s still no definite agreement signed and it’s looking progressively more likely that the team may have to sit 2016 out. He did say there’s potential to “introduce independent suppliers of V6 twin turbos similar in size to IndyCar engines,” so that will be something to watch for.